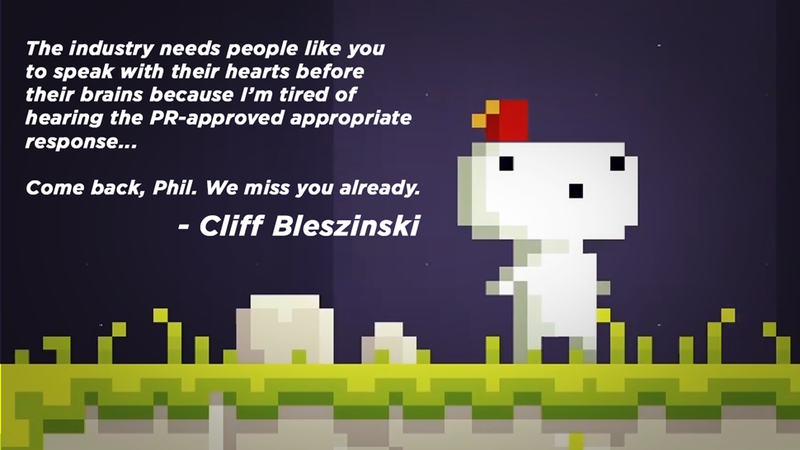 At least one prominent game developer doesn't want to see Fez creator Phil Fish go. The industry needs people like you to speak with their hearts before their brains because I’m tired of hearing the PR approved appropriate response. I’m tired of games that feel like they’ve been developed by focus groups or clueless executives going “Hey that Call of Duty is big, we need one of those!" Come back, Phil. We miss you already. Maybe I’ll be right behind you, returning with Adamantium skin.